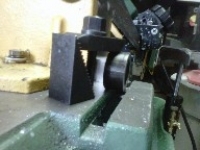 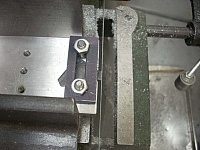 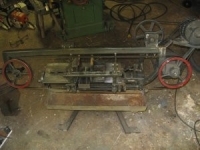 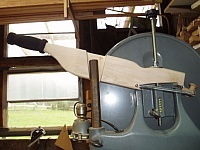 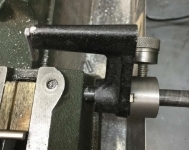 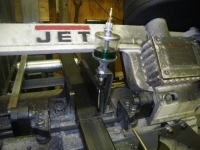 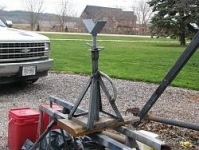 Homemade bandsaw blade keeper fashioned from a section of flat plate and intended to aid in retention of the blade on the drive wheel. 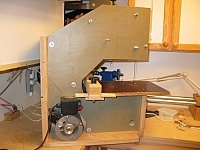 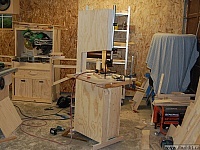 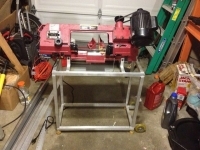 Seems like a pretty obvious part for a bandsaw, though many don't have them at all. 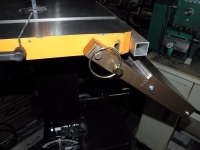 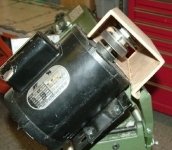 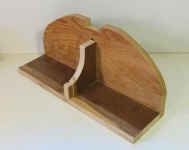 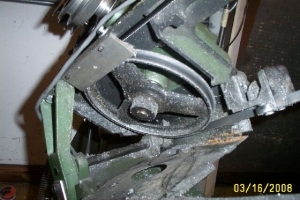 Bandsaw Motor Pulley Guard by Frank J. Hoose, Jr.